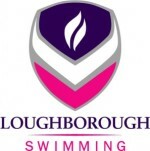 Today we proudly say hello to the Loughborough University coming to next years exciting edition of Swim Open Stockholm. We all know the University as one of the greatest talentfactory in Europe. The enviroment also hold the NTC Squad with coach Mel Marshall, coach of the world fastest breaststroker all time - Adam Peaty! Will we see Adam in Stockholm? The team will be selected after the Winter Nationals in december, so after that we will present the fast swimmers coming to Stockholm. Welcome Loughborough University!